The Lamaze Healthy Birth Practices are the foundation of Lamaze. These practices are designed based on years of research to simplify your birth process with an informed approach that helps alleviate your fears and manage pain. Healthy Birth Practice 1: Let labor begin on its own. Healthy Birth Practice 2: Walk, move around and change positions throughout labor. Healthy Birth Practice 3: Bring a loved one, friend or doula for continuous support. Healthy Birth Practice 4: Avoid interventions that are not medically necessary. Healthy Birth Practice 5: Avoid giving birth on your back and follow your body's urges to push. Healthy Birth Practice 6: Keep mother and baby together — it's best for mother, baby and breastfeeding. Letting your body go into labor spontaneously is almost always the best way to know that your baby is ready to be born and that your body is ready for labor. In the vast majority of pregnancies, labor will start only when all the players—your baby, your uterus, your hormones, and your placenta—are ready. Naturally, labor usually goes better and you and baby usually end up healthier when all systems are “go” for birth. Every day in the last weeks of pregnancy is vital to your baby and your body's preparation for birth. If your labor is artificially started, or induced, it becomes a medical event and proceeds quite differently from spontaneous labor. Unless you or your baby has a health problem that necessitates induction, it makes sense to wait patiently for your labor to start on its own. Even if your due date has passed and you’re longing to hold your baby, remember that nature has good reasons for the wait. Download the Lamaze Healthy Birth Practice Paper, available in eleven languages, to learn more about induction of labor. Find out how to keep labor as natural as possible if you have a medical reason to be induced. Moving in labor serves two very important purposes. First, it helps you cope with increasingly strong and painful contractions, which signals your body to keep labor going. Second, it helps gently wiggle your baby into your pelvis and through your birth canal. Download the Lamaze Healthy Birth Practice Paper, available in eleven languages, to learn more about the importance of movement in labor. Learn some tips for maintaining freedom of movement in labor. Discover how to keep your birth as natural as possible if your movement is restricted. Download the Lamaze Healthy Birth Practice Paper, available in eleven languages, to find out about the research on continuous support in labor and learn about doulas (professional labor support professionals). Looking for additional labor support team resources? Check out the Choosing Your Birth Team page. Download the Lamaze Healthy Birth Practice Paper, available in eleven languages, to learn why these interventions are usually unnecessary and sometimes harmful. When it’s time to push your baby out, remember that instinct, tradition, and science are all on your side. Current evidence shows that letting you assume whatever position you find most comfortable, encouraging you to push in response to what you feel, and letting you push as long as you and your baby are doing well are all beneficial practices. Download the Lamaze Healthy Birth Practice Paper, available in eleven languages, to learn about how upright and "gravity-neutral" positions benefit both you and your baby. Learn how to keep your birth as natural as possible if you have to use directed pushing. Experts recommend that right after birth, a healthy newborn should be placed skin-to-skin on your abdomen or chest after birth and should be dried and covered with warm blankets. 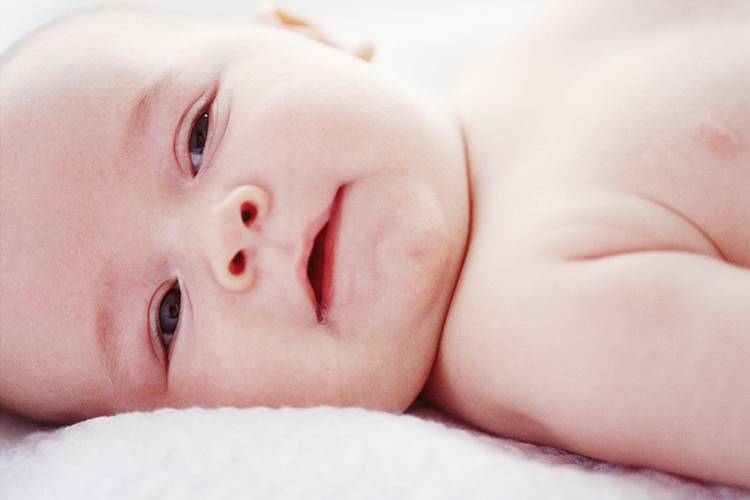 Any care that needs to be done immediately after birth can be done with your baby skin-to-skin on your chest. As midwife Ina May Gaskin says, you’re entitled to "keep your prize." Download the Lamaze Healthy Birth Practice Paper, available in eleven languages, to learn what the research says about the importance of early, continuous contact with your baby after birth. Learn some tips for establishing breastfeeding in the early days and weeks. Visit the Baby-Friendly USA web site to learn about the Baby-Friendly Hospital Initiative and to locate a Baby-Friendly hospital or birth center. For additional information and resources on the Lamaze Healthy Birth Practices download the Six Healthy Birth Practices infographic or participate in our online class for expecting parents: Safe and Healthy Birth: Six Simple Steps. Regardless of your baby’s size, your labor’s length and complexity, or your confidence level, these care practices will help keep labor and your baby's birth as safe and healthy as possible. The Lamaze Six Healthy Birth Practices are also available in eleven languages: English, Mandarin, Russian, Spanish, Portuguese, Czech, Polish, Romanian, Greek, Arabic, and Hebrew.